Attending a makeup school is an ideal choice for people who want to start a career in cosmetology but don’t know where to begin. By taking makeup artist classes, students can not only learn the skills they need to excel in the industry but can have a better understanding of which specialty is right for them. Instead of attending a special FX makeup school or other college that has a specific focus, many students thrive in attending a school such as the Cosmix School of Makeup Artistry that offers many different degree options. So what are some of the reasons that people decide to attend a makeup artistry school? No matter which field of interest appeals to you, makeup courses offer you a pathway into many diverse and growing career options. For example, a stylist in a salon can easily make $50,000 a year working full-time — and that’s if they don’t own their own salon. People who specialize in high fashion or production makeup can make far more than that. Starting a career in makeup artistry gives you plenty of opportunity to take control of your own career. You can start your own salon or become a freelance makeup artist and take jobs as you see fit. You can work as often or as little as you want and will have the absolute freedom to set your hours. Of course, none of this matters if you don’t have a passion for hair and makeup. If you have the desire to help people look their best or to use makeup to create new creatures for film and television, then you owe it to yourself to check out a reputable makeup school. 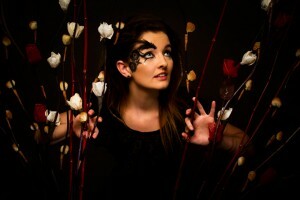 The Cosmix School of Makeup Artistry is one of the leading makeup schools in the United States. Based in South Florida, the school offers classes in every aspect of makeup and beauty.